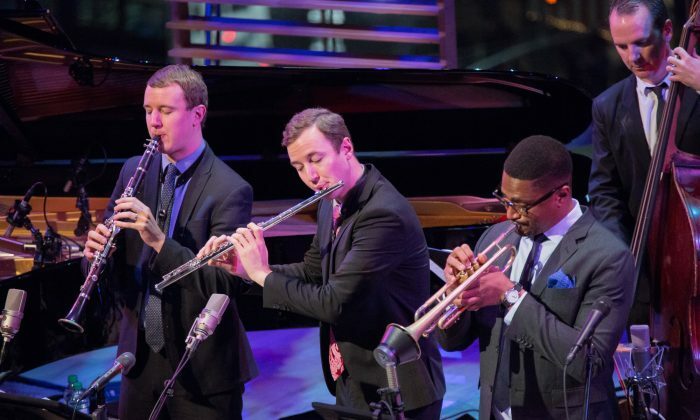 NEW YORK—When Jazz at Lincoln Center decided to pay tribute to Tommy and Jimmy Dorsey, Peter and Will Anderson (both of whom play saxophone, clarinet, and flute) seemed like a logical choice of the performers. Though the siblings compose and perform in later styles, the virtuosos have also made a specialty of paying tribute to the music of past masters, such as Benny Goodman and Artie Shaw, and, a few years ago, the Dorseys as well. For “The Fabulous Dorsey Brothers,” running through Dec. 2, they are joined by an all-star group: the wonderful trombonist and vocalist Wycliffe Gordon; rising star vocalist Brianna Thomas; accomplished trumpeter Bruce Harris; and an outstanding rhythm section of Jeb Patton on piano, Clovis Nicolas on bass, and Aaron Kimmel on drums. The original script for the informative and entertaining program is penned by Grammy Award-winning musician, writer, and scholar Loren Schoenberg and narrated by the mellifluous-voiced actor Clarke Peters. Tommy Dorsey (1905–1956) was known as the “Sentimental Gentleman of Swing” for his trombone playing, which combined a rich tone with extraordinary breath control. Frank Sinatra (one of the many singers who rose to prominence as a Dorsey band vocalist) cited Tommy’s influence on his breathing for his ballad style. Jimmy Dorsey (1904–1957) played saxophone and clarinet and was admired by Charlie Parker, among others. Jimmy was also a fan of the new music of the beboppers and recorded Dizzy Gillespie’s arrangement of “Grand Central Getaway.” At the concert, the number was performed with Harris playing a solo with a mute on his trumpet. The Dorseys performed in various bands during the Roaring Twenties and by 1927 were recording as the Dorsey Brothers Orchestra. They were heavily influenced by Louis Armstrong and the concert started with a lively rendition of “High Society.” This was followed by the barn-burner “Oodles of Noodles,” featuring sax solos by the Andersons. In 1935, the Dorseys split (reportedly caused by Tommy’s volatile temper) and each formed a separate band. “How are Things in Glocca Mora?” from “Finian’s Rainbow,” a hit for Tommy, was recreated with Thomas showing off her beautiful voice, crisp diction, and flawless intonation. The Andersons soloed on flute and clarinet on an arrangement inspired by Bill Finegan’s original. The Dorseys were among the first to integrate their bands and Tommy hired trumpeter Charlie Shavers and arranger Sy Oliver, who had worked for the Lunceford band. A swinging version of “Swanee River” featured a growling trombone solo by Gordon, who was equally adept at smooth ballads (for example, “I’ll be Seeing You,” another lovely vocal by Thomas). 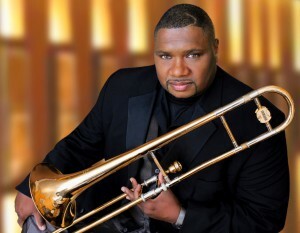 Incidentally, the Andersons pointed out that they had studied with Wycliffe Gordon and, when they started, he had suggested they listen to the Dorseys. Narrator Peters demonstrated that he can sing also, with the ballad “All in the Game.” He pointed out that Tommy first played an instrumental version, titled “Melody in A Major” and written in 1911 by Charles Dawes, who became Vice President of the United States under Calvin Coolidge. After World War II, music tastes changed and big bands had a hard time surviving. In 1953, the Dorsey Brothers reunited in Tommy’s band. Their former opening act, comedian Jackie Gleason, became a TV star and, in 1954, offered them the chance to be his summer replacement. The show returned in 1955 as a lead-in to Gleason’s new series, “The Honeymooners” and ran until September of 1956. The Dorsey show marked the first national television appearances by Elvis Presley, and they had him on the program six times. The concert ended with the final piece recorded by the brothers, “Dippermouth Blues,” demonstrating that they were Satchmo fans to the end. In 1936, they had recorded the tune with Armstrong himself. Thanks to Peter and Will Anderson and the rest of the crew, Jazz at Lincoln Center is educating the audience about the important contributions of the Dorsey brothers while providing a truly entertaining evening.